What’s in your waffle mix? 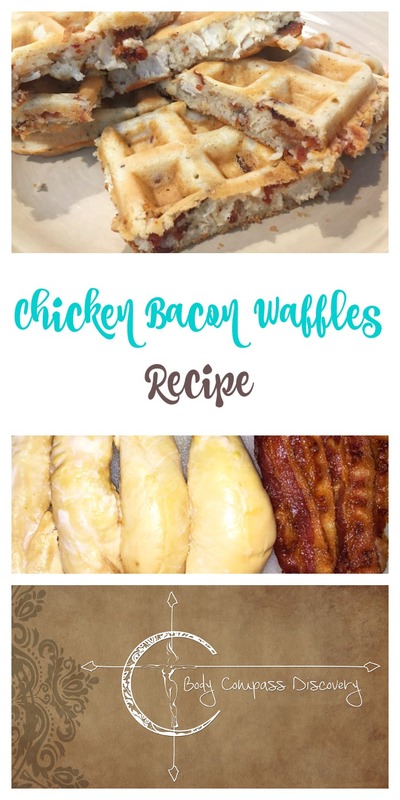 I’m sure you’ve tried chicken and waffles by now (if you haven’t you should because yes, it works), but have you tried waffles filled with chicken…. and bacon?? Yes, that is correct. 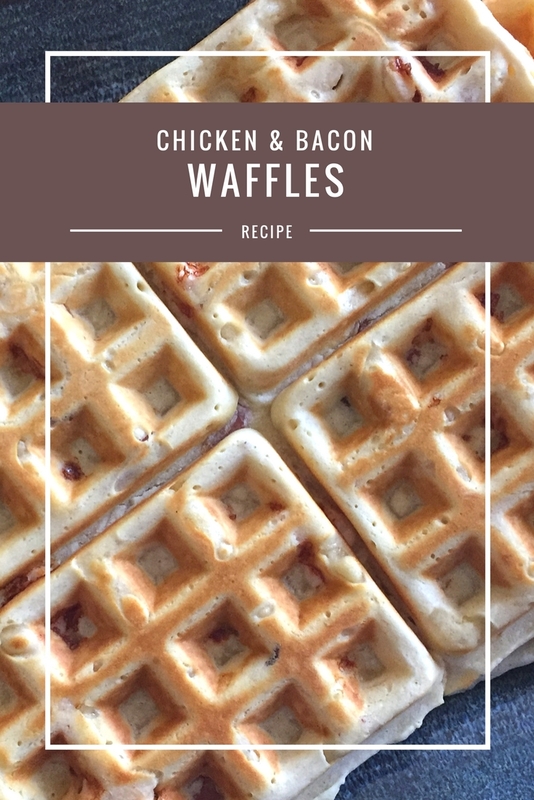 Chicken and bacon IN waffles. First place a few strips of bacon and some lightly oiled chicken strips on a greased or non-stick baking sheet. Bake at 400F for about 12 minutes. They should both cook to perfection! 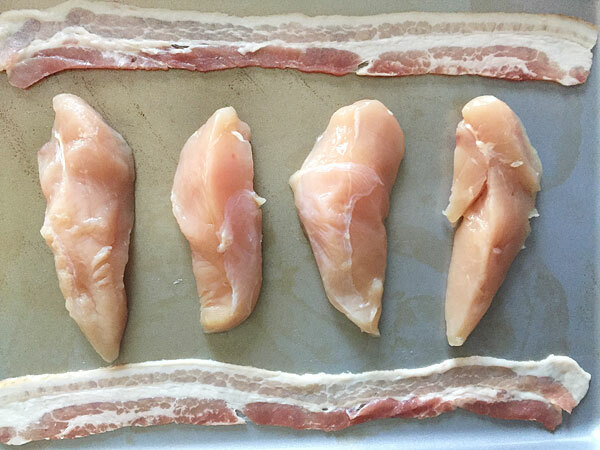 Chop up the chicken and crumble the bacon. Make the batter by combining the dry ingredients in one bowl and the wet in another, then slowly mixing them together. I used an all purpose gluten free baking flour and cane sugar for my recipe. 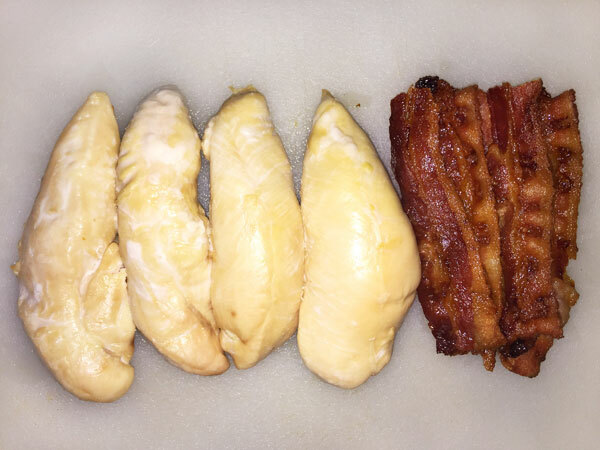 Once combined stir in the chicken and bacon. My gluten free flour of choice when it comes to baking is this blend! Heat up the waffle maker and pour the batter in, a little at a time cooking each waffle about 3 minutes until all the mixture is completely gone. This made about 3 large waffles (or 12 small ones). Serve up and get your nom on! 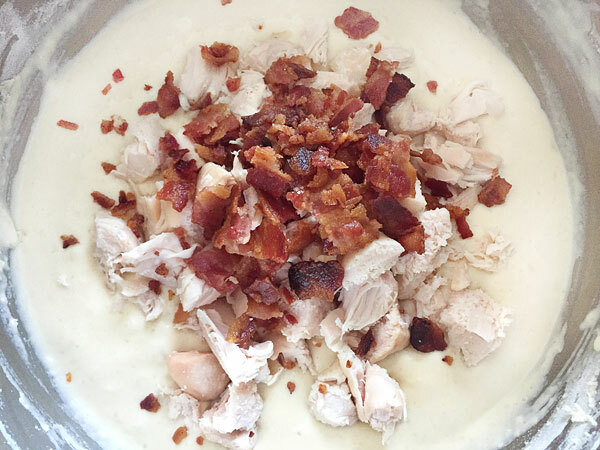 What is great about this recipe is the chicken is baked so there is no fried crust, yet you still get the crunch from the bacon. This is a healthy alternative to a very popular favorite that I consider a major success! 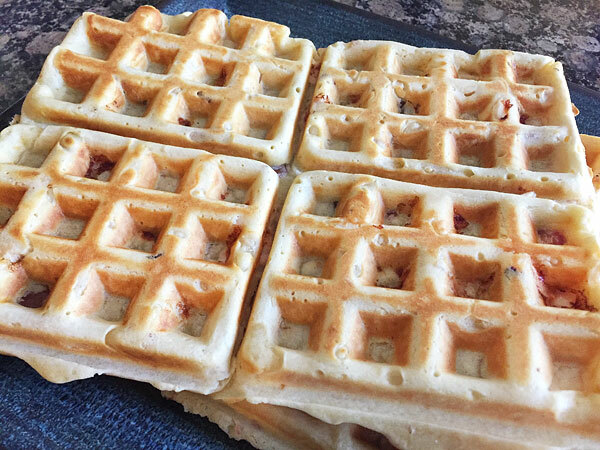 Waffles filled with chicken and bacon pieces. Combine dry ingredients in a bowl and mix wet ingredients together in a separate bowl. Slowly stir the wet ingredients in to the dry. 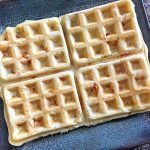 Heat up the waffle maker and pour the batter in, a little at a time and cooking for about 3 minutes per waffle until completely gone. Serve up and get your nom on! A gluten free flour of choice can be used. This is one of those recipes that I know will be made again and again upon request. These waffles have the perfect amount of meat added so you don’t over indulge, but still have your cravings satisfied! 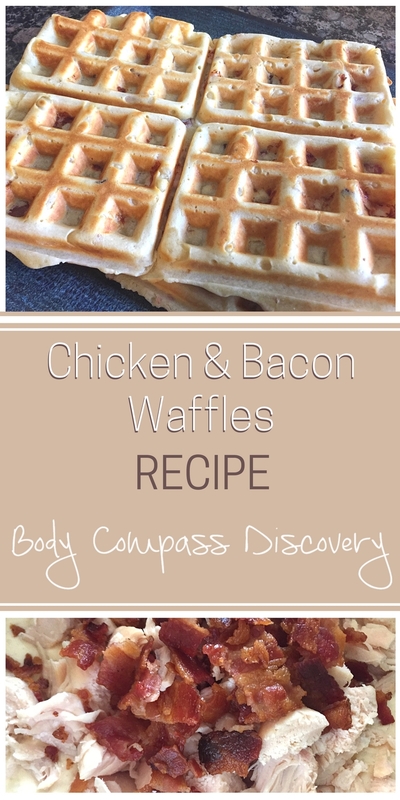 It’s breakfast time, and chicken and waffles with a twist is on the menu! Yum. Thanks for an unstoppable recipe. Cheers! THIS isn’t Is genius! I’ll have to make it for my husband, thanks for sharing!